Some essays written for various courses in the Master of Publishing program. The Project Report for my Master of Publishing internship with Hip Communications, a small, now-defunct WWW publishing company that was based in Yaletown, Vancouver. I have a keen interest in the Beat writers (Jack Kerouac, Gary Snyder, etc). This paper - a look at the Beats from a Publishing perspective - was written for a course in the History of Publishing. A 1991 paper on Talonbooks, a Vancouver-based literary publisher, probably the foremost Canadian publisher of drama and poetry. An updated and revised version of this paper was published in the Spring 1999 issue (CTR 98) of Canadian Theatre Review. 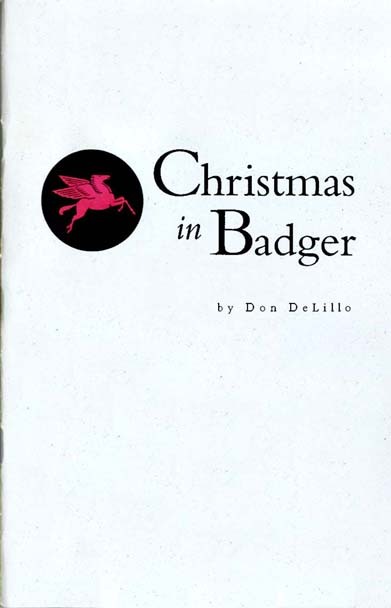 Christmas in Badger is a selection from the novel Amazons: an intimate memoir by the first woman to ever play in the National Hockey League by Cleo Birdwell. The writing is actually by Don DeLillo, who wrote it "with a woman" as a potboiler while working on The Names. It paints a picture of a traditional Norman Rockwell-esque Christmas, but from a wonderfully skewed perspective. I published this as a small, saddle-stitched chapbook, in a limited edition of 12 copies (for friends) one Christmas. A Dictionary of Lucyisms was put together to commemorate my mother's 65 birthday last year. It collects many of her "peculiar utterances" which we 4 children grew up on. Did you know, for example, that a "wudge" is "A small, sort of wedge-shaped portion of something, somewhere between a wedge and a smudge"? 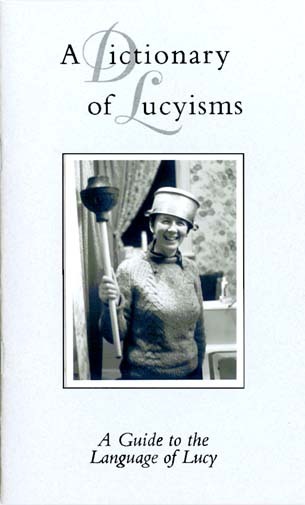 This was published as a small saddle-stitched chapbook with a black-and-white photograph (a legendary shot of my mother with scepter and crown) affixed to the front cover. In an edition of 25, circulated to family members.